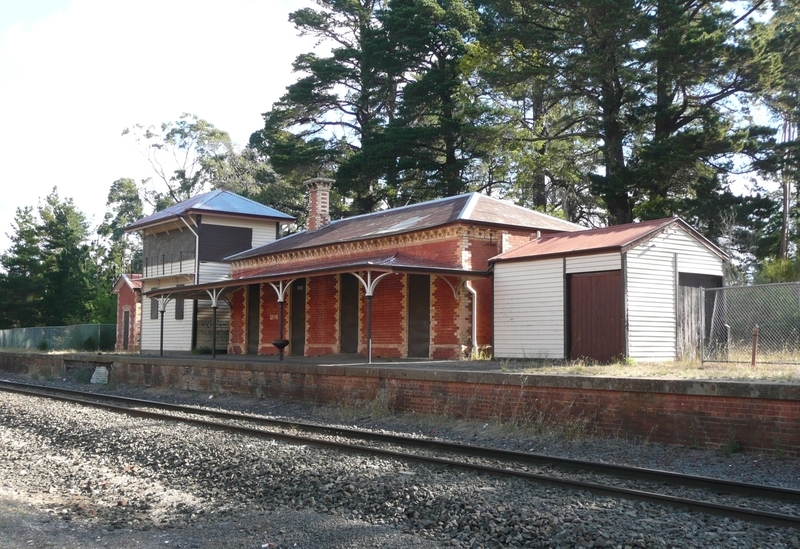 The Creswick Railway Station Complex was constructed in 1874 by George Anderson for the Victorian Railways. It comprisesa hip roofed, bi-chromatic brick station building and residence with a standard cast iron verandah and brick platform with bluestone coping and a disused drinking fountain. A detached brick lamp room/toilet block and two-storey timber signal box adjoins. 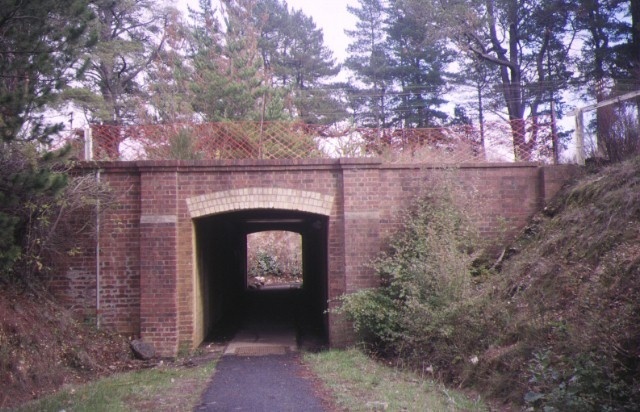 Other features include a brick goods shed and brick faced subway. The station complex is no longer in use and boarded up. 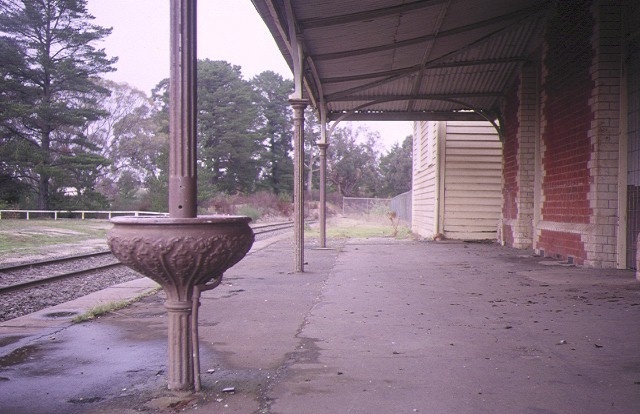 Creswick Railway Station Complex is historically and architecturally significant to the State of Victoria. 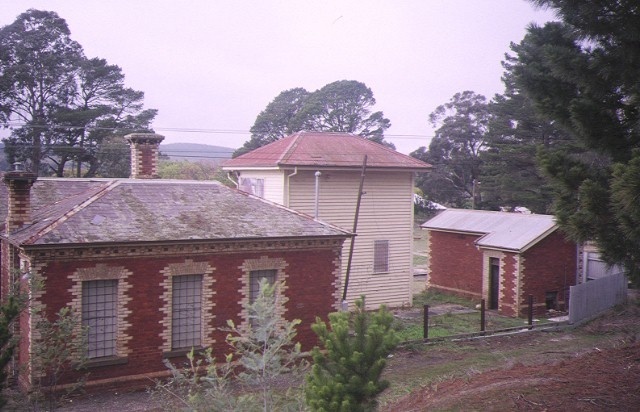 Creswick Railway Station Complex is historically significant for its associations with the development of the 'light lines' or 'cheap lines' era. The station is also associated with the development of the shire. 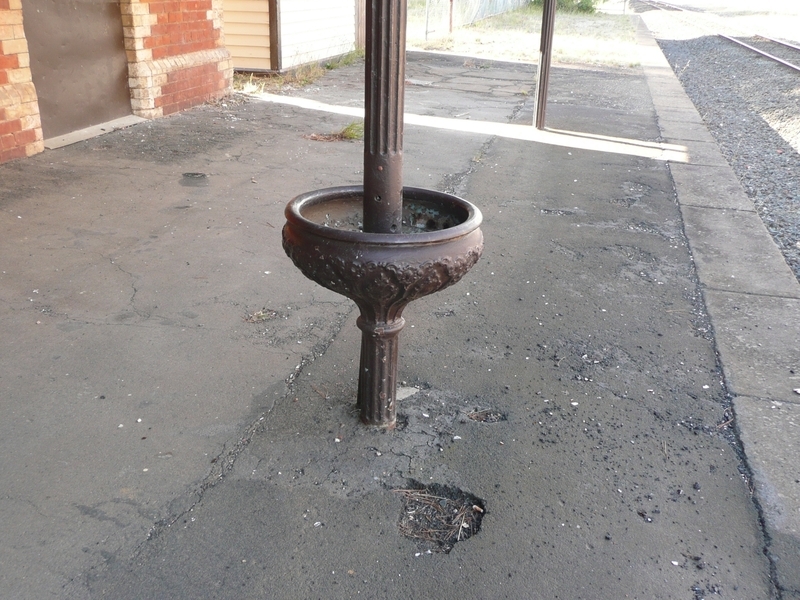 The station was established only two years after the discovery of gold in Creswick, and is significant for the important role it played in opening the area up to further settlement. Creswick Railway Station is architecturally significant as an important and representative example of the 'Creswick' style of station buildings, one of the typological groups of railway designs of the 'light lines' era. The station is a major contributor to the architectural character of one of the 'light lines'. 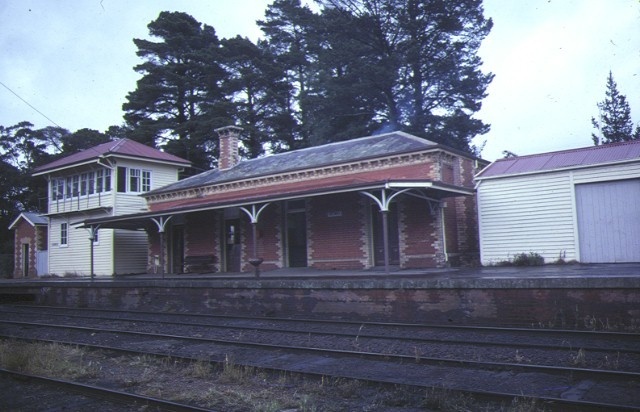 Following on from the earlier 'Carlsruhe' style, the 'Creswick' style of station buildings are typically characterised by their single storey construction of a classical revival design, often using polychromatic brickwork. 1. 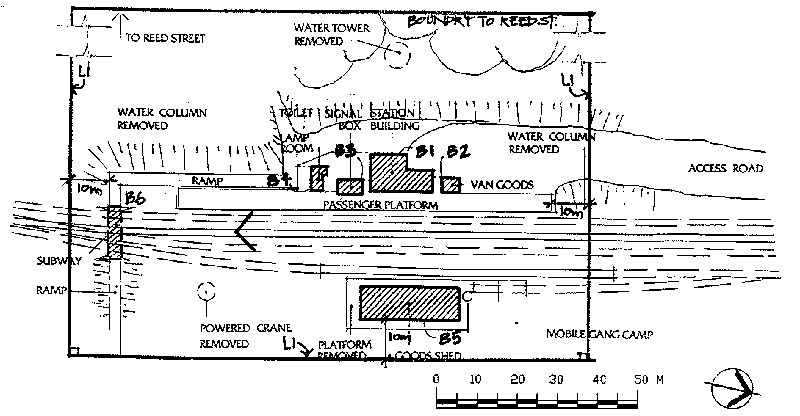 All of the buildings known as the Creswick Railway station complex, including the station building (B1), and associated signals, levers and platforms, van goods shed (B2), signal box (B3), lamp room/ toilet block (B4), goods shed (B5), brick subway (B6), as marked on plan 602309 held by the Executive Director. And being part of the land described in the Old Law Book 234, Memorial 72; Book 235, Memorial 547; Book 236, Memorial 690. 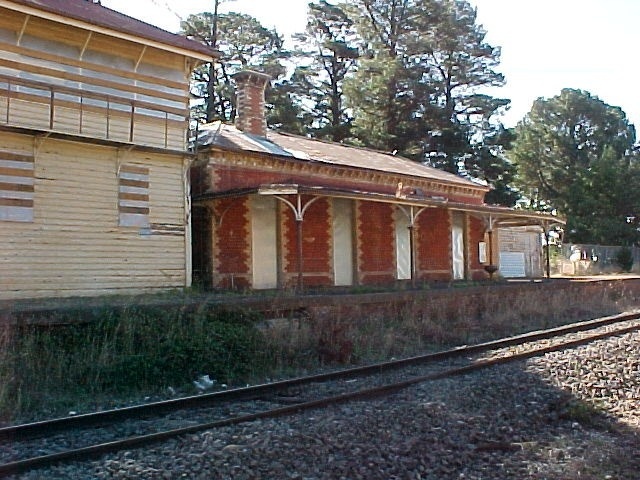 Creswick Railway Station is significant for its association with the development of the shire. The station was established only two years after the discovery of gold in Creswick, and thus played an important role in opening the area up to further settlement (Graham, 1942). Built in 1874, its restrained classical revival design with polychrome brickwork was repeatedin smaller stations constructed in the 1870s in an attempt to minimise expenditure on the expanding railway network. 5. Nothing in this declaration exempts the owners or their agents from the responsibility to seek relevant planning or building permits from the responsible authority where applicable. * All basic refurbishment works including repairs to buildings and structures, where works are documented and administered by a recognised conservation consultant. * Installation of perimeter fencing. * Installation of new signalling systems and modifications to existing signalling systems. * Modification and replacement of tracks to the extent of the rails, sleepers and ballast. * Installation of new landscaping features but excluding earthworks where more than 1m3 of ground is to be altered. *Replacement of decayed fabric with fabric that matches the original design and profile. * Installation of new but not removal of existing original significant signage. * Installation of temporary protective hoardings, screens and the like for the protection against intrusion of vandals and the like provided that no damage is sustained to significant fabric. * Installation of new damp proofing and making good to match existing, adjacent surfaces. * Interior painting but not stripping of existing paint scheme. * Installation of new but not removal of existing original significant carpets/flexible floor coverings. * Installation of new but not removal of existing original significant fixtures and fittings, including clocks, soft furnishings including curtain tracks, rods, blinds and other window dressings, and the like. * Installation of new but not the removal of existing original significant signage. * Installation of new partitions provided that no damage is sustained to significant fabric. * Replacement of non-original kitchen and toilet fixtures provided that no damage is sustained to significant fabric. * Installation of insulation to ceiling spaces. * Installation of hooks, nails and other devices for the hanging of paintings, mirrors and other wall mounted works of art. The purpose of the permit exemptions is to allow works that do not impact on the significance of the place to occur without the need for a permit. 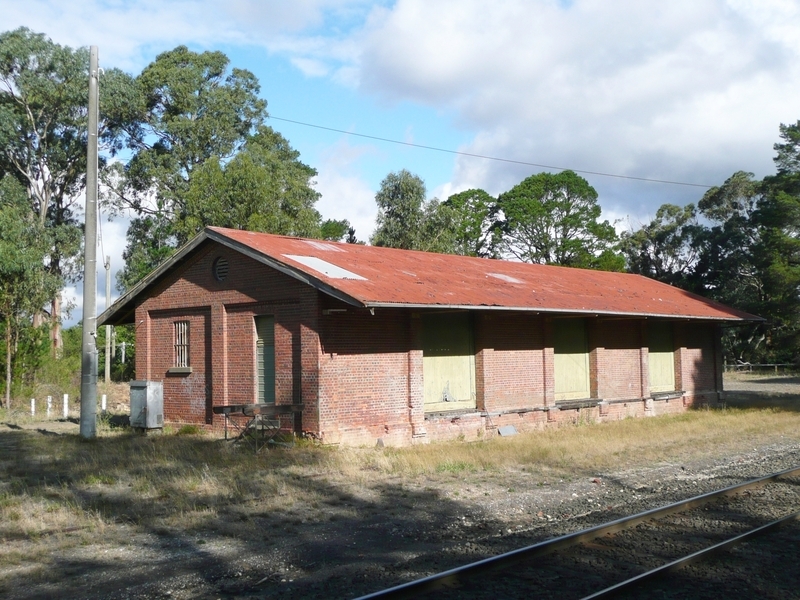 The Creswick Railway Station is important for its individual buildings as well as its precinct values. The exterior of the buildings are of prime importance. The interior is important if original fittings and fixtures still survive. Track works and maintenance to the buildings are able to be undertaken without a permit.